Over the last 14 years I’ve been nominated for the Grammy Award for Best New Age Album 13 times. 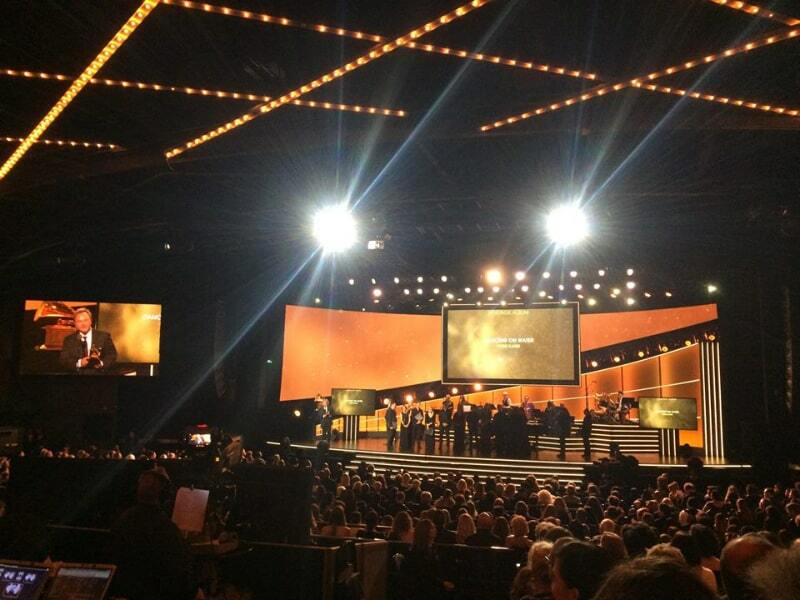 I went to the Grammy's every year to enjoy the festivities and with the prospect of winning. I could usually tell when the nominations first came out who was going to win and for the most part I was right. This last year I released my DANCING ON WATER recording, an all improvised solo piano album. It was doing well on Amazon and Billboard but I was thinking that even if it got nominated that I probably wouldn’t go to the awards event. Not only was I getting tired of not winning but it was also a long way to from Maui to New York City. But the buzz about the album was so sweet and people seemed to really like the album a lot and I felt very moved by the support growing not only in the public but in the Grammy voting community. 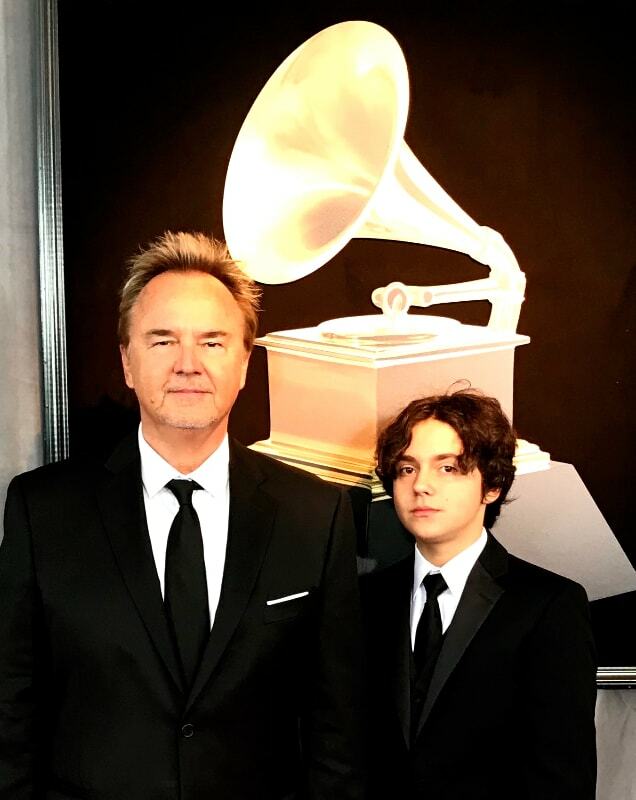 And when the nominations came out and I saw that I was in the company of artists that I knew personally and admired, even after 12 losses and a daunting 11 hour trip to the cold east coast I decided to go and to take my 13 year old son, Nathan, with me. The seduction to believe that they might be right but the awareness that so many people have said that every year for the last 13 years. This continued through both the first round and final round voting periods. But this year I felt more support than ever and I started to believe that I actually had a chance. That’s a scary thing to give into because when you get your hopes up and then it doesn’t happen it feels like a let down. But even though it hadn’t worked out in the 12 prior nominations I let myself go into occasional optimism and the larger acceptance that I’ll go and whatever will be, will be. Even though I totally admire and respect all my fellow nominees I felt that India.arie was my biggest competition because she wasn’t really a “new age” artist, had a large following and had already won 4 Grammy Awards. But then something unexpected and very interesting happened that night that last round voting ended for the final ballots. Dec. 21st was the last day of voting and what ever was to happen on Jan 28th at the Grammy Awards was already decided the night of Dec. 21st. I wasn’t thinking about it too much. I had already voted several days earlier. But on the morning of Dec. 22nd I woke up and distinctly remembered being told in my sleep that night that I would win by a large margin of votes. It was a voice that I heard. There was no place or face attached. Just a voice that came from “above on the left” that told me that. It was very clear, neutral, neither masculine or feminine and just gave me the info. I thought “wow, that’s pretty interesting”. Was it wishful thinking or some sort of omen? But as time went on I would go in and out of believing and doubting the experience and would waiver between thinking I was going to win or that India.arie was going to. My son and I went to NYC the Thursday before the Grammys and basically did New York types of things. A couple shows, dinners at restaurants you can only find in NY etc. I stayed away from the Grammy parties and networking events because I just didn’t want to be in the whole energy of “is this my year or not”. My closest friends and some new friends were all super encouraging and very convincing that this was to be my year for the long deserved award. I felt pretty cool and detached from the whole thing as long as I wasn’t thinking about it. But then the morning of the Grammy's I woke up and literally felt almost nauseous with anxiety and nervousness. I woke up at 7:30am and literally stayed in bed till 1pm not wanting to get out from under my blanket and face the world. I even for a few moments considered not going to the Premier (pre-event) Show where they give out 75 of the 90 or so awards before the Telecast, including my category. At about 1pm I did the math and realized that if I didn’t get up I might be late to the event which started at 3pm. I dragged myself out of bed, took a shower and woke up my son. I ran across the street and got us some wraps to eat real quick because we had to eat something before the long event. We got dressed and headed down stairs to get a taxi over to Madison Square Garden. As fate would have it the taxi driver didn’t speak much english and didn’t know what I meant by Grammy Awards and “red carpet” access with the green VIP pass I had and after sitting in traffic for a while we decided to get out and walk the last few blocks to Madison Square Garden. We walked around the building for a while trying to find the red carpet arriving just after 2:30pm. By the time we got there I was actually feeling pretty good. I guess lying in bed for almost 5 hours feeling my fear and anxiety was enough to feel it and let it go. 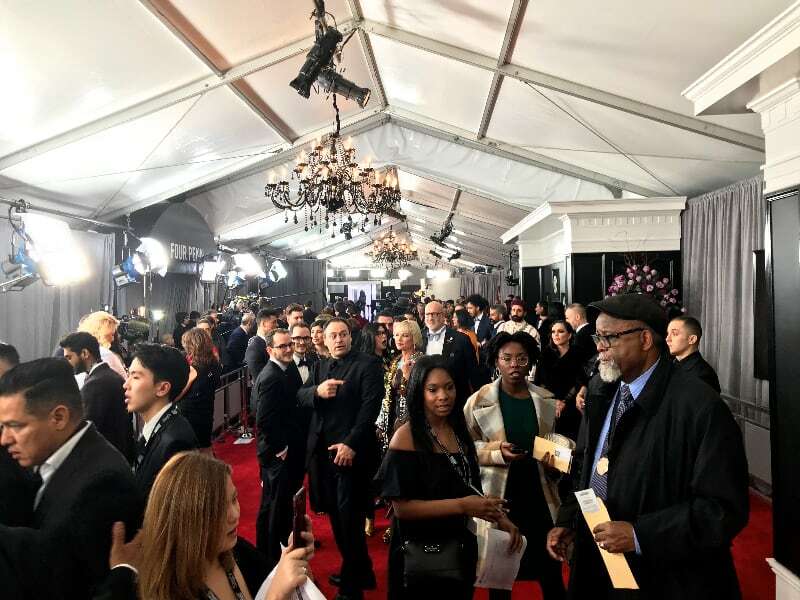 My son and I did the whole red carpet thing which is honestly less than gratifying because ALL the media there is only interested in speaking with the nominees in the top 10 - 15 categories that are in the televised show (even though there are 75 awards give out in the Premier event prior to the telecast). The categories kept coming and soon mine was next. The sense of overwhelm and a flood of energy was intense. It’s almost hard to think straight at that point. Heart pounding. Increased nervousness. An almost numbing sense of intensity. I remember thinking that I just needed to let go. Whatever was going to happen had already happened. It was out of my control and there was nothing for me to do. I heard them announce all the nominees. And then the next thing I know they’re opening the envelope and I was waiting to hear the name announced. Was it India.arie? Was it Peter Kater? Then I heard “Dancing on . . . “ and it took me a few seconds to realize that was my album. I don’t remember hearing my name at all. But I knew that I had to get up and walk up to the stage and that my 45 seconds were counting. The feeling was amazing. I was so surprised that I was able to walk out of the my row of seats through several people. Then I even remembered to button my jacket as I walked down the isle. I even ran up the steps and didn’t trip or fall down and I remember feeling relieved that I got to the stage, held the statue and was standing in front of the mic without an embarrassing incident. And then I even started to speak. I was speaking but also at the same time feeling kind of impressed that I actually had remembered to say the few things that I wanted to express and I felt like myself and genuine and truly well received and even loved by the audience. It really felt amazing. And then I was escorted back stage and was standing there for second and someone came up to me and said something like “Congratulations. My name is so and so and I’m going to be leading you through the photo and interview process, if you’ll follow me”. It was at that moment that I realized that I was in some sort of shock. I had a hard time understanding what it was I was supposed to do next. I felt kind of helpless but not scared. But I was standing there in a place and situation that I have never been in before. I kind of didn’t know how to navigate through it. It was a completely new experience that had eluded me for 12 years (or even all my life). It was like the person came up to me and said “Peter, you’ve been in an accident. But everything’s going to be okay if you’ll just listen to my voice and follow my instructions”. Most notably the winners for some aspect of the music production for LALA Land. At one point one of them, a woman, turned to me and asked, “Are you Peter Kater?”. I happily said “yes” (feeling excited and flattered that someone actually knew who I was) and she complimented me for my score for BURN THIS, a Broadway play that I had written the music score for almost 30 years ago. She said she listened to it everyday for years. I felt so gratified that she knew of that part of my life and thought how interesting it was that I had so much success in New York in the past (scored the music for 11 On & Off-Broadway dramatic plays) and here I was again receiving an award that had eluded me for 12 years in Los Angeles. 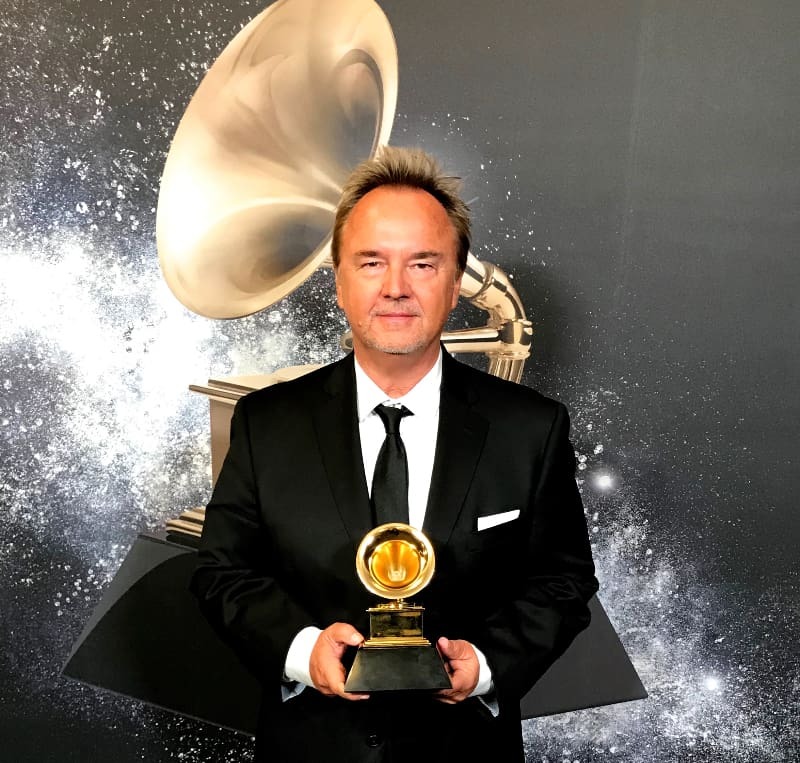 After going through the whole process back stage and after a second stop at the vodka bar another Grammy winner and I were escorted to the freight elevator, taken up a couple floors and then kind of dropped off in an empty hallway and congratulated one final time. We proceeded down the hallway came to a couple turns with no idea where to go and just kinda used our best judgement which some how brought us to the backstage entrance to Madison Square Garden where the rehearsal for the telecast had just ended. “Wrong way” we were told and then we walked through a couple makeup rooms and another few hallways, escalators and literally after about 25 minutes of wandering around finally found our way back to the Theater where the Premier Awards were still going on. I was happy to rejoin my son and friends and for the rest of the day everything just seemed perfect. It finally happened. Phew . . . . what a relief!